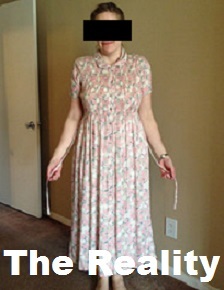 I confess that I struggle with the whole “age-appropriate” clothes concept. There’s a war going on between phrases doing battle in my brain: Wear what makes you feel good versus Just because it comes in your size doesn’t mean you should wear it. I usually come down in the middle somewhere. I defy the slimming benefits of basic black by wearing brazen colors – even an occasional horizontal stripe or two – in spite of the fact that I’m . . . big boned. But shorts and anything sleeveless are out. 1. 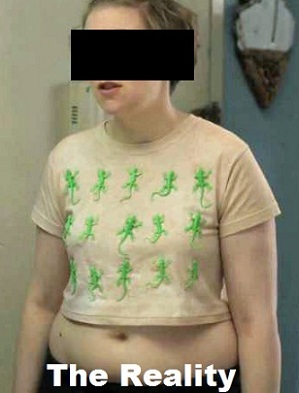 Crop tops. Feel free to ignore me if you have abs of steel. The rest of us, however, don’t usually end up with the look we were going for. 2. Any item that doesn’t allow for a bra. Unless you’re in pajamas or a woolen overcoat, bras are now mandatory in public. 3. 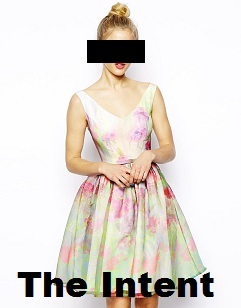 Pastel floral dresses. From fun and perky to tired and frumpy in less than three decades. 4. Tatoos. Sure, that rosebud right over your left breast looks cute when it’s first done. But before you know it, it’s a long-stem rose. 5. Very high heels. Stilettos just don’t look good with varicose veins. You don’t have varicose veins, you say? Just keep wearing those super high heels and you’ll find out what I’m talking about. 6. Anything you wore the first time it was in style. 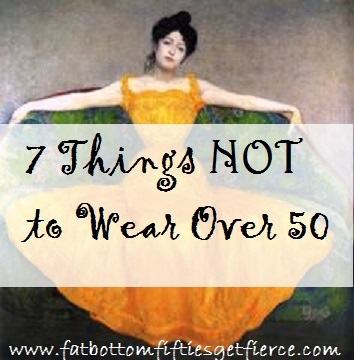 So stop saving your crushed velvet bellbottoms, denim overalls, and baby doll dresses. Yes, they will come back in style. No, you should not wear them. Not even new versions of them. The only exception to this rule is trench coats. 7. 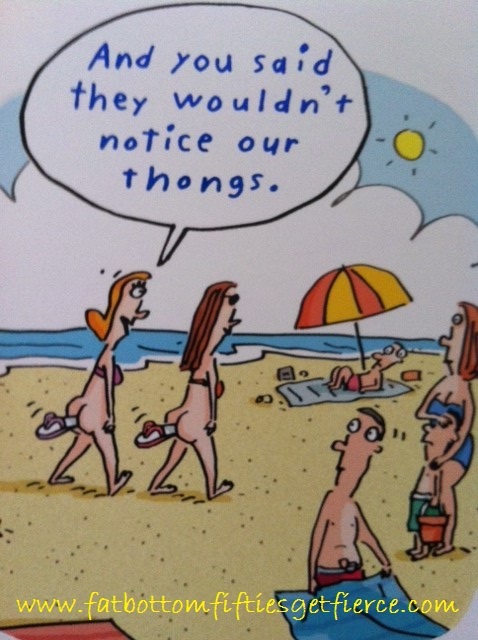 Thongs. They look bad and make you walk funny. ANY OTHER FASHION QUESTIONS WE CAN HELP WITH?